Are you suffering from migraines, frequent headaches, jaw pain, or an aching pain in your face? These are all symptoms of Temporomandibular Joint Disorder, also known as TMJD. This condition can make chewing, talking, and other daily activities painful and difficult. At Legacy Dental, we have a variety of treatment options available for our patients who suffer from TMJD. Dr. Semerad provides a complete evaluation the jaw and mouth to determine the best treatment options for each individual patient. You don’t need to keep suffering with headaches and jaw pain! 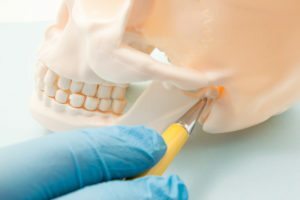 TMJ is a common abbreviation for Temporomandibular Joint, which is the joint connecting your lower jawbone to the base of your skull. There are a series of complex muscles, joint pads and tendons that help move and protect this joint while it is in motion. Because this joint is one of the most frequently used joints in the human body, when it becomes inflamed, it can be extremely painful. 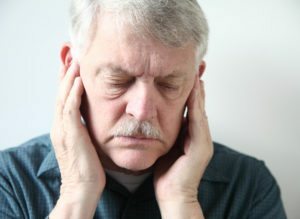 Problems and pain associated with the TMJ are often referred to as simply, “TMJ” or “TMJ Disorder”. Many things can contribute to the development of TMJD. Stress can be a factor, as well as anything that can cause tension in the jaw and surrounding muscle groups. Injury to the neck or jaw from a trauma such as an auto accident. How Can TMJD Treatment Help? There are several ways TMJD treatment can help manage this disorder. At Legacy Dental, Dr. Semerad frequently uses Botox® therapy to treat TMJD. Botox® is usually associated with cosmetic practices, such as reducing crows feet and other facial wrinkles. However, Botox® has recently become an increasingly popular and effective TMJD treatment. Some TMJD symptoms may improve on their own, Botox® offers fast and long-lasting relief for those that do not. One of the biggest advantages of Botox® many of our patients experience is that normal functions such as biting, swallowing and speaking are left unaffected by the TMJD treatment. The only change is a reduction in the pain and discomfort TMJD disorder can bring. Schedule Your TMJD Treatment Consultation With Legacy Dental Today! If you’re suffering from the symptoms of TMJD, give our local Omaha office a call. We’ll be happy to answer any questions you have about TMJD treatment or any of our other dental services. A consultation with Dr. Semerad is the perfect way to answer all of your questions and determine if TMJD treatment could be the best solution for your smile and overall wellness!